I did it wrong the first time. I didn’t do everything wrong, but the thing I did do wrong was the one, most critical element that would have doubled my launch revenue had I done it. How do I know? Because I did it the next year and it did double my launch revenue. Let me first tell you what I did right: I prepared six months in advance. I announced my product with a landing page six months in advance. I gave people half a year to notice and was sharing it on social media in that time. I spent a lot of time refining the modules and content within my course. So where did I mess up? By this time, I’d done everything I’ve explained so far in the first 5 parts of this series on how to validate, create, market, and launch a product. I’d even amassed an email list of 15,000 people in this time. But I did one thing wrong. I had six months, but guess how many emails I sent? I sent five emails. Not only that, but I sent five emails in the last five days leading up to the launch. Know why? Because I didn’t want to bug people. That was my thinking. I was so overwhelmed by the fact that 15,000 people had signed up for my email list that I was scared to send anything to them. I thought, “If I’m going to bother 15,000 people, it better be something really, really important!” There’s a problem with that way of thinking though. It’s the “bother 15,000 people” part. You’re not sending an email to 15,000 people. You’re sending an email to one person 15,000 times. Even if you’re sending an email to 15,000 people, it’s still a one-on-one interaction. You have to treat email like a one-on-one interaction. You should never write an email to your email list where it addresses the group like you’re talking on stage in front of a crowd of 15,000 people. If you’re ever said, “Hey everyone,” or “all of you,” you’re doing it wrong. This email you’re sending is a single email that’s going to be opened by a single person. It’s just simply going to happen many, many times. You need to write your emails as if it’s being written to one person—because it is. My problem was thinking I was “bothering” 15,000 people. I should have been thinking of it in terms of providing value to a single person. If you’re having trouble writing your emails like they’re to one person, try opening up a new email compose box. Put your friend’s email address in the TO: line. Write your message to your friend. If you notice an immediate change in the style of your writing, you need to reevaluate how you think of your audience. Always write to a single person. If it helps, compose your entire email or blog posts in the email compose box. So I messed up by only sending 5 emails to my list because I was scared of bothering them. But why did they sign up? They signed up because they were interested! Think about it. Would you give away your email to subscribe for something if you weren’t interested in the topic? Of course not! These people had voluntarily given me their email addresses because they wanted more value from me. How do you deliver more value? You send more emails. Daily emails. My first launch in 2014 made $80,000 in the first 24 hours. That’s great right? But when I implemented daily emails, my second launch in 2015 made $177,000. The key was emails. Once I got over my hesitation about emailing the list and instead focused on providing value to a single person, everything changed. Everything doubled, rather. I sent out 30 emails in a row. Every single day, for 30 days leading up to the launch I sent an email. They averaged 1,500 words each. That’s 45,000 words not even including the course material. What were the results? Were people mad? Were they upset? Did they get annoyed? How is this possible? How are people eating this up and not getting mad? Weren’t people supposed to hate daily emails and think they’re spammy? I thought the same thing for years. It wasn’t until much later that I realized people think daily emails are spammy simply because most emails that are daily are spammy. We were throwing a frequency out simply because someone had used it poorly in the past. How did I get people addicted to opening daily emails? Simple, it’s what we talked about in the previous parts of this series: I was reading people’s minds. Of course, I wasn’t really reading their minds, it was simply that the content I created was in direct response to the greatest struggles people share with me. This resulted in people loving the emails because it felt as though they were written especially for them, which ultimately lead to the biggest launch I’d done to date. Remember those responses to your question in Part 2 of this series? You have a massive list of people’s struggles. You’re an expert in your field and this is where you turn your answers into new emails. This is a process that I outline at StartSendingDailyEmails.com. In this course, I tell you my mistakes, show you how I messed up and was wrong about emails in the beginning, and then show you how to beat me by two years by teaching you to do it right. Let me explain why this works: everyone consumes daily. This is a fact. Look at what you do, first thing in the morning. You browse your feeds, you check your email, you go on social media and look at the posts from people you follow. Who do you follow? People who create content that interests you. People who are interested in bass fishing aren’t going to wake up tomorrow no longer interested in bass fishing. They’re going to look at magazines, watch videos, read articles, and follow people who talk about bass fishing. There’s no question that people will consume content on the topic of their interest every day. The only question is whether it’s going to be your content or someone else’s. There’s much more that I have to share on email strategies as they apply to the launch process, so go check out my Supercharge Your Writing course while you wait for the final part in this series. Teach people what you know. Repurpose the best 10% of your paid material as free teasers for people to consume. This will give them a sense of the quality of your paid material. If you’ve launched products in the past, you should have testimonials from previous customers. If you don’t, ask them for one! Use these in your next launch. If you’re follow the beta group process, these people are prime candidates for testimonials. Simply ask the people in your beta group for a testimonial before you do your public launch and use these in your emails. 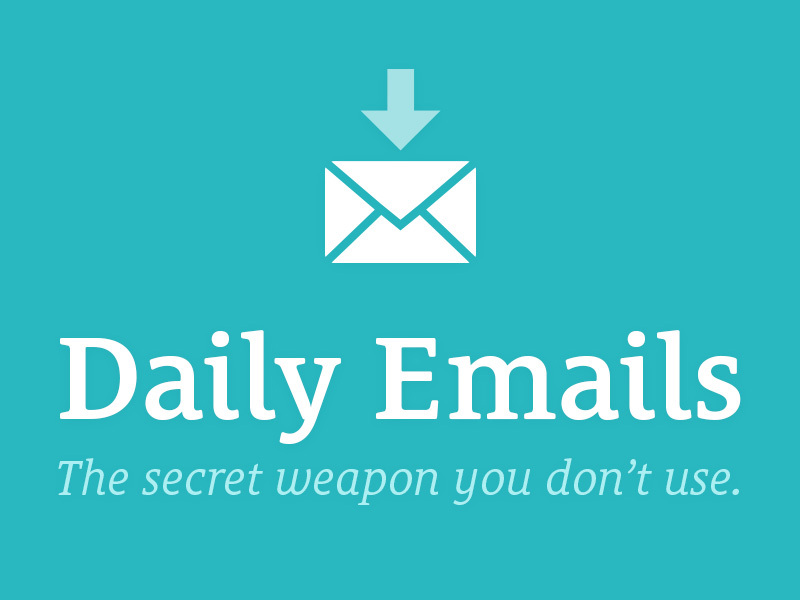 Share any tools or resources in one of your ramp-up emails. These could include anything from guides to templates that help people get things done quicker. Compile a list of frequently asked questions and write your answers to them. This will preempt the question for many of your subscribers and will work as a standalone email that gives people more clarity before they buy. I hope this helps and I’ll see you tomorrow for the final episode in this series!